Aww thanks. Yeah it’s plain sailing now thank goodness whew! I always slice apples too- I don’t like biting into them for some reason. Thanks! Yeah I’ve always chopped appls, it just makes them so much nicer to eat. I have my own little apple chopping board especially haha. Aww thanks so much. I just can’t wait. Almost time now! Veggie chili is the best!! :) I love your outfit, too! HAppy WIAW! Everything for the wedding is coming together so nicely! I can’t wait to see how to candy buffet turns out 🙂 And I LOVE that you and your dad did a funny dance down the aisle. That is so sweet! That’s so cool that the vicar joined in with the joke! I think having a laugh was a great idea so you won’t be nervous. The sweets look so good and vintage; what a great idea. Thank you!! 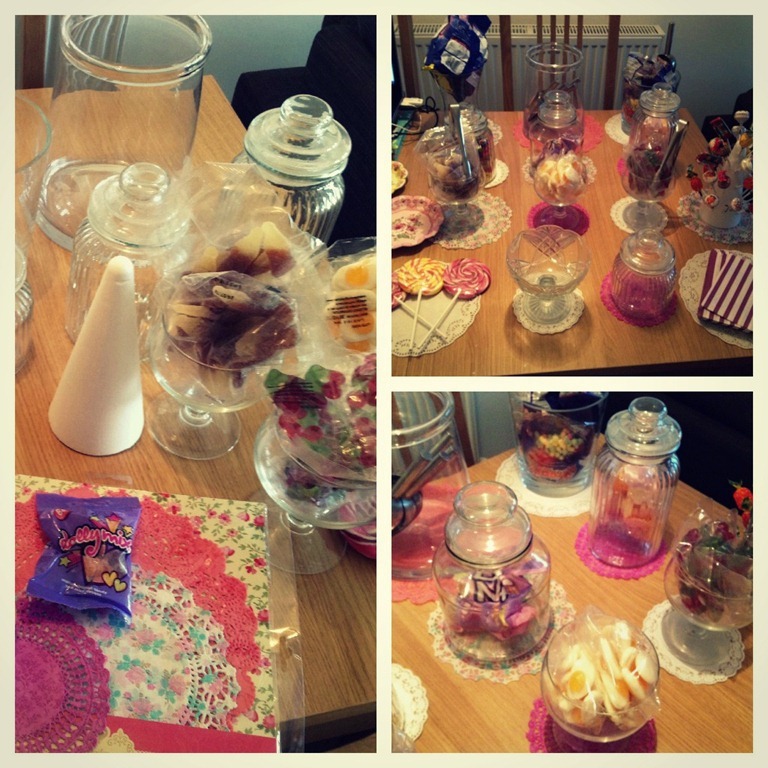 It was such fun setting up the sweet buffet. I’m so excited! !